accommodation for up to 8 mountain bikers or walkers at the top of the Afan Valley Club Discount! 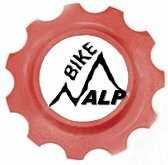 Bike Alp – Mountain bike holidays in the Grand Massif and Portes Du Soleil in the French Alps Club Discount! Castles Bike Ride – an annual charity event in aid of Macmillan Cancer Support. A must-do for all local mountain bikers! Doctor Coopers Cycle components, tools and brake bleeding kits. Club Discount! Epic Bleed Solutions provide cost-effective alternatives to manufacturers’ own hydraulic brake bleeding kits. Club Discount! Get Mountain Biking – a national provider of mountain bike courses, off-road guided rides and bike maintenance courses at venues across England Club Discount! Mule Bar Wiltshire based energy and recovery bar manufacturer.Club Discount! MudTrek – Based on the doorstep of the world renowned Brechfa Trails, MudTrek provide amazing, fully catered MTB week-ends, MTB short breaks & MTB holidays for small groups. This is no bunk house! They offer luxurious accommodation in a stunning location at affordable prices, and with some free MTB guiding thrown in as well, what more could you ask for? Club Discount! Ski and Summer Morzine – catered chalets in the Portes Du Soleil resort and transfers from Geneva. Club Discount! Tyddyn Bychan Biker friendly bunk barn located near several great trails in North Wales. Club Discount! ACE TOWBARS Ace Towbars – towbars, caravan/trailer servicing and bike racks. Club Discount! North Wiltshire Orienteers. The local orienteering club. To find out more about the permanent orienteering courses at Coate Water and Croft contact POC via this page. Swindon Coffee Gang – mobile event catering with coffee and cakes. Therapy 4 Sports – Therapy 4 sports is a unique performance coaching service based in Swindon, delivering a blend of massage, physiotherapy and yoga primarily for athletes. Club Discount!